The Odeon cinema chain is essentially nothing more than a glorified sweet shop. Going to the cinema, I like to feel like I am being sold an experience, rather than an overpriced, mass-produced product. 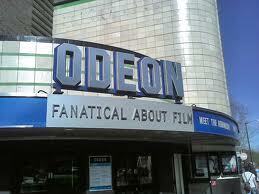 The Odeon, and other large chains, for me, totally take away the magic of the cinema. Back in my parents’ youth, going to see a new film was a big day out, with the A Movie, B Movie, Shorts, Cartoons and News Bulletin. Further back, in the silent era, a trip to the cinema was a special occasion and included a live orchestra playing the film’s score. A trip to the Odeon, however, involves queuing to see the latest blockbuster, which will probably disappoint, and paying around £8 for the privilege of watching 45 minutes of adverts before the film even starts. If you want to sit in the ‘Premier’ (and far less comfortable) seats you can expect to pay and extra £1.10 and for a 3D film another £3 on top (£2 for the film and £1 for the glasses). When did the cost of seeing a film get so high? The price and experience of a 3D film is another complaint entirely. When the new wave of 3D first hit our screens, the offerings were exciting and visually stunning: Avatar, despite its unoriginal and formulaic story, was a visual masterpiece, and what 3D is all about. The latest crop of 3D films are far from value-for-money, with parents have been complaining about the prices, as children beg to see a film in 3D when 2D would suffice. A prime example of this was Pirates of the Caribbean: On Stranger Tides (2011), the fourth film in the franchise. The producers clearly thought that making the film 3D would mean attracting a new audience, but as a fan of the first film, The Curse of the Black Pearl, I feel that 3D is being used as a marketing tool and does not really add anything to the quality or enjoyment of a film. Watching Heston Blumenthal’s Mission Impossible on Channel 4 to rebrand Cineworld was brilliant. Although his creations were totally ridiculous and will never be practised by these unimaginative corporate chains, the principle of bringing back the cinema experience, and actually getting something worthwhile for your money was right on the ball. If you attend an independent cinema, however, or a smaller chain such as Picture House, the experience is still there The tickets are cheaper, the food is better, the seats are comfier and the films have been handpicked by the curator, so you know that you’re in for a treat! As a fierce lover of all things film, I really rate my local cinema, the FACT in the Liverpool Ropewalks area. This cinema, housed in a modern arts and technology gallery offers excellent films, in a relaxed and sophisticated atmosphere, where you can enjoy a glass of wine with your film, as well as the usual kiosk fare. The cinema has three screens with reclining seats, plus ‘The Box’ where audiences relax on a couch to watch the movie. The FACT also offers reasonable membership and student discounts, as well as Peak and Off-Peak prices, and special screenings for the elderly and those with young children. If the film industry wants to prevent piracy and keep people interested in going to the cinema, not only prices, but the whole cinema experience needs a reboot. Independent cinemas are where its at right now, and if chains like the Odeon want to retain their customers, they need to look to the independents for inspiration. This entry was posted in Uncategorized and tagged cinema, cineworld, fact, film, independent cinema, odeon. Bookmark the permalink.